The company was established in 1995 by Neville Turbit who continues as principal of the organization. Neville has a management background in both Business and IT. He is the Australian representative on the committee contributing towards the development of an international programme management standard. 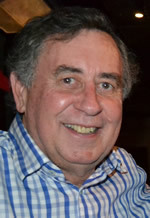 Previously he was on the Australian committee contributing to the ISO project management standard (ISO 21500). Neville represents the Australian Computer Society (ACS) on the committee. Project Perfect work in both Government and non Government areas. We have experience in Finance, Manufacturing, Advertising, Resources, Telecommunications, Television, Law and Utilities to mention a few.